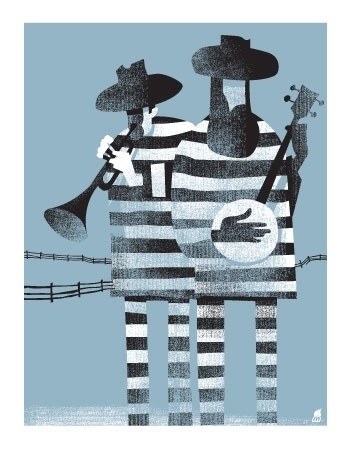 This beautiful Art Print is titled "Prisoner Blues". 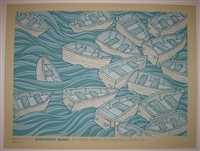 The artwork was originally designed as a concert poster for Iron & Wine and Calexico. It was such a popular design that artist Robert Lee has created this high quality Giclee Print using the same image. Whether you are a fan of the musicians it is based on or not, it is a stunning piece of artwork, you have to see in the flesh!